Let it go with these Elsa inspired wings! 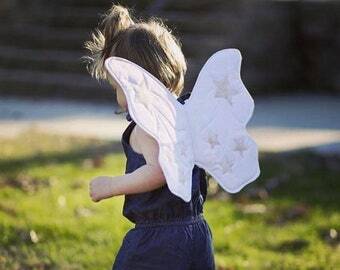 Heirloom quality blue butterfly wings for pretend play, kids costumes, dress up, make-believe, imaginary play, or toddler costumes. These wings feature a sparkly blue sequin fabric with a snowflake adorned "cape" and snowflake buttons. A beautiful photo prop for your holiday or birthday photoshoot. Or everyday wear for fabulous youngsters! 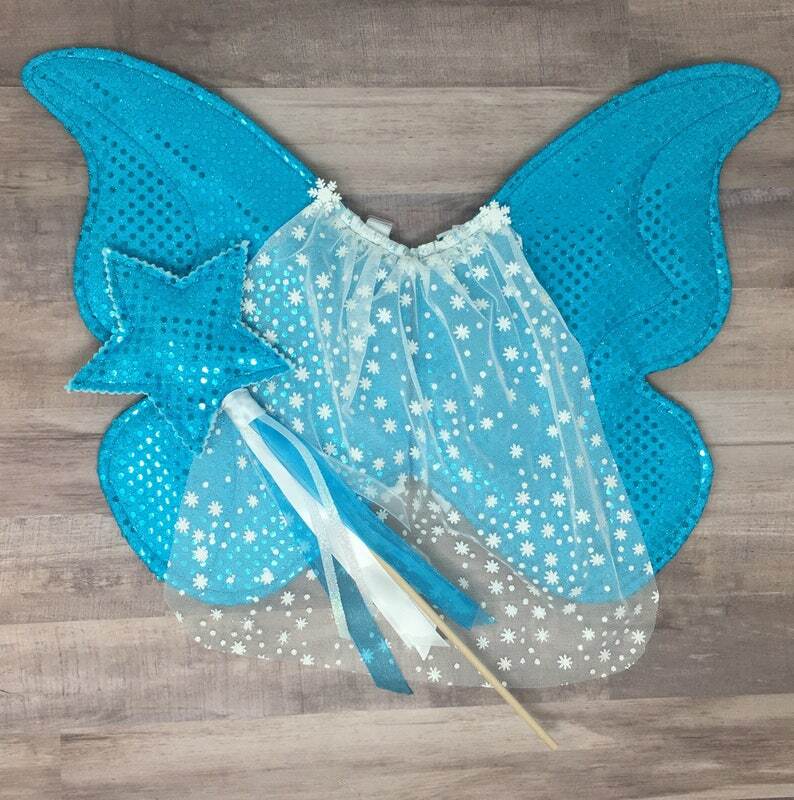 Your little one will look so adorable in their Elsa inspired butterfly wings with matching wand. Wings are approximately 17 inches wide and 13 inches tall. The center of the wings is approximately 6 inches long. Please supervise small children when playing with these wings.